Considering the results by country, it was pleasing to see a French Malbec score well in the sub-£10 category, with Rigal in Cahors picking up a Silver for its juicy, bright fruit. Although there were very few wines from south-west France in the lineup, the samples for the most part delivered the right amount of structure and flesh. In last year’s Malbec Masters we highlighted the rise of Chile, which appears to be crafting ever better wines with this grape, and that trend continued this year. The judges did pick up on a crunchy-fruited style from the country, with, at low prices, some slightly green, edgy wines, although the more expensive wines displayed juicier fruit. In particular, this year again, Colchagua delivered lovely juicy wines with the appealing addition of floral notes on the nose and palate. “At high altitudes and cooler climates in the south, the Chilean Malbecs were rather delectable: ripe fruit and bright acidity with flavour and wood in balance,” said Patricia Stefanowicz MW. As for Argentina, despite the aforementioned consistency in quality, there was plenty of variation in style. Extremes were evident, with some powerful wines laden with oak and sweetness from elevated alcohols, and, in contrast, examples with a middleweight feel and herbal aromas, along with the aforementioned pepperiness. 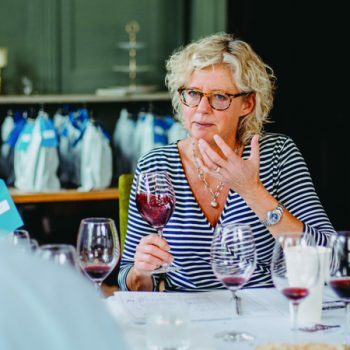 One judge, Madeleine Stenwreth MW, said the latter lighter style was the result of both a move in Argentina towards sourcing Malbec from cooler sites, along with recent cooler vintages, and the use of more whole bunches in fermentations. She did, however, stress that it was important to “separate the great green from the bad green”, when considering the overall profile of such wines.